THE DOG THAT NINO DIDN'T HAVE (or in Dutch: HET HONDJE DAT NINO NIET HAD), my picture book with the amazing young Belgian artist Anton Van Hertbruggen just came out in China, which is great. 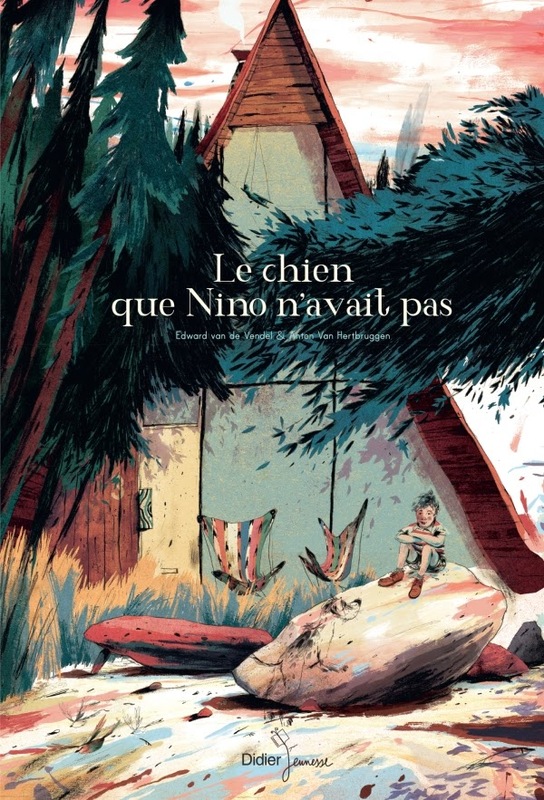 But even greater is the latest news: the French translation by Marie Hooghe, LE CHIEN QUE NINO N'AVAIT PAS, is awarded with the Prix Sorcières, an annual prize, organised by the ALSJ (Association des Librairies Spécialisées Jeunesse) and the ABF (Association des Bibliothécaires de France). In the 'album' category past winners have been artists by the likes of Wolf Erlbruch, Anthony Browne, David Wiesner and Peter Sís - and now it's our book. We are so grateful! Congratulations also to the translator and to our French company Didier Jeunesse.